Adminer, formerly known as phpMinAdmin, is a full-featured database management tool to be used as a more simple, effective and fast alternative to the famous PHPmyAdmin. Being curious about it, I had a chat with the creator of Adminer, Jakub Vrana. 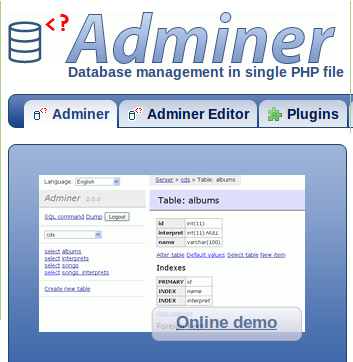 Adminer is a database management tool written in PHP. If you want to create a new database table, insert a record or just select some data, Adminer is here for you. >> How did the idea to build it come? I needed to execute some SQL query on a database server accessible only from the web server. I didn’t have phpMyAdmin there and I got tired of copying 10 MB in 666 files of phpMyAdmin (at that time) just to execute that SQL query. So I created a simple script which evolved into a feature complete tool. 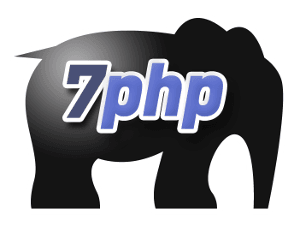 >> Why would you convince a PHP guy to use it as compared to PHPMyAdmin for example? The main difference is hopefully the user experience – everything is easier accessible, less error-prone and faster than in phpMyAdmin or most other tools. Installation and configuration makes also a big difference – just copy one small file of Adminer and use your DB user and password for login. Surprisingly, even though Adminer looks very simple and easy to use, it actually has more features than phpMyAdmin. I’ve created a detailed comparison of Adminer and phpMyAdmin at http://www.adminer.org/en/phpmyadmin/. To be objective – it’s possible that phpMyAdmin is a better choice for someone with very different values than me or than most people who tried both tools. There are also number of desktop tools (sometimes with a web proxy to mitigate the DB-accessible-only-from-web problem) but I like the freedom of web – I can access the DB from any computer or from my phone using the same tool without any compromises. I don’t add much features to Adminer recently. I still maintain it and I publish a new version every 6 months or so. >> what do you plan for it in the near future? Will it be around for a long-term basis? I have some plans for the next major version but I didn’t start with it yet. I plan to support Adminer at least for several next years. >> How has the PHP Community responded to Adminer so far? Based on the feedback, 95+ % people who tried both phpMyAdmin and Adminer stayed with Adminer. The problem is that most people aren’t aware about the alternatives. Want To Be Cool? Do Something Simple! Thanks for sharing this information. Actually you are right few peoples are aware from this alternative of phpmyadmin. Thanks a lot for such a nice post. It looks simple, it works faster. Since you now have a new user and promoter. This application is very good indeed and faster. Problem is that PHPMyAdmin is integrated by default in xampp and wamp and many users don’t even know for this alternative. Thanks for sharing. Regards. I discovered it about 2.5 years ago and it actually changed how I work on databases. Adminer is immensely useful, takes single wget to install, requires 0 configuration. I never looked back. Postgres and sqlite support is something I frequently take advantage of too. Absolutely recommended. You can also use dbForge Studio for MySQL http://www.devart.com/dbforge/mysql/studio/ Great functional and intuitive GUI will make you work with MySQL fast and easier! thanks for your comment and for your suggestion.